My oldest just started school and I have been finding it a bit strange with just me and my almost-three-year-old in the house. I haven’t been used to so much one-on-one time with him and I will admit I’ve been a bit stuck for ideas of what to do! After considering the reason for this, I have realized that usually we worked off my older son’s ideas for play… if he wanted to draw dinosaurs or look for bugs, for example, my youngest was more than glad to follow big brother’s lead. But due to this pattern there are have been quite a few activities that were a bit too “babyish” for my older son that my youngest son has yet to fully experiment with. 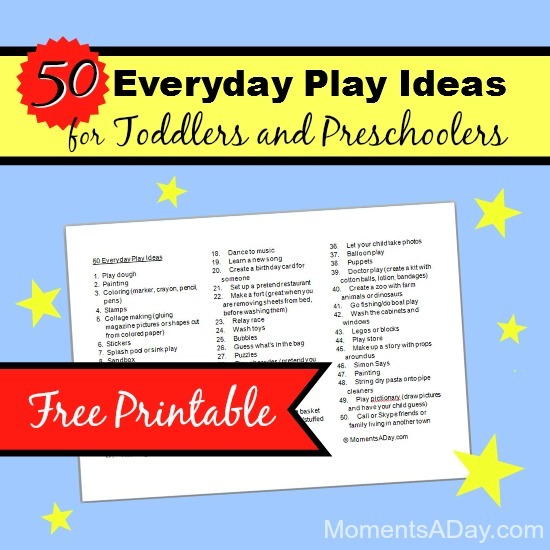 Therefore I looked up a list of play ideas I created when my oldest was a toddler, and re-vamped it to use now with my youngest who turns three in a few months. My idea is just to choose one or two play ideas each day we have together, and go through the list to find out what he enjoys. It is going to be so fun to have this special time together and I am excited to see his interests develop independent of his brother’s influence. You can download this list to print out yourself using the link at the end of this post. If you would like to find activities to learn about specific character traits, such as kindness or responsibility, go here. 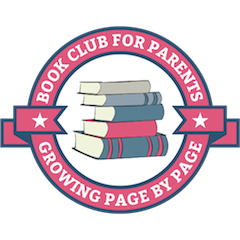 For more ideas, join me on Facebook and Pinterest where I share about connecting with children, developing character, and making a difference as a family. What ideas would you add to this list? What is your toddler or preschooler’s favorite type of play? This is a great list! And since they don’t require much or any set-up, you can grab an idea from the list when you need it. I love lists like this. I always feel like I’m scrambling to find something for the kids to do. I know what I need to do, but it’s hard to direct them sometimes. This quick list will keep things fresh.